It’s been called the most beautiful drive in America, the Beartooth Highway. With just over 68 miles of open road located between Red Lodge, Montana and the Wyoming state line. 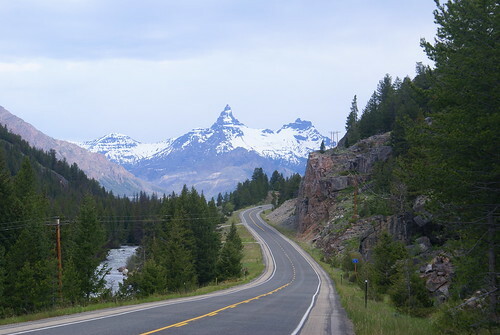 Known for its winding roads and switchbacks, this scenic road trip will lead you all the way to Yellow Stone National Park and is a must for road trippers who love being surrounded by pure natural beauty. This route is popular among traveling tourists because it is surrounded by the Absaroka-Beartooth Wilderness area known for its lush green valleys, breathtaking mountain ranges, abundant wildlife and flowing streams and lakes. Starting from Beartooth Highway it will be about 3 hours to get all the way to Yellowstone, but that’s if you drive straight through. The Beartooth Highway is ONLY open between May and October & may close periodically due to weather! Keep in mind that you might want to stop to stretch your legs or take some good pictures. If you want to make more of a little vacation out of it then you can spread the journey over the course of a few days and check out popular local spots for tourists. 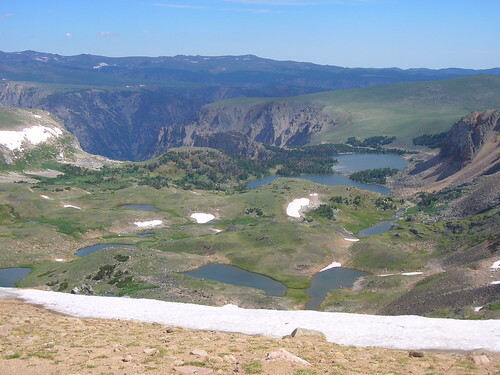 If you love being adventurous, outdoors and exploring the wilderness or riding your motorcycle down zig zagging roads, then Beartooth Highway is a must for your travel to do list. Since you can drive it at your own pace, you’re in charge of your experience. If you feel like fishing, go fish! If you feel like wandering around the forests, wander until your heart’s content! If you just want to enjoy the amazing views of the mountains while the sun sets, you’ve got nothing but time when you’re driving the Beartooth Highway. 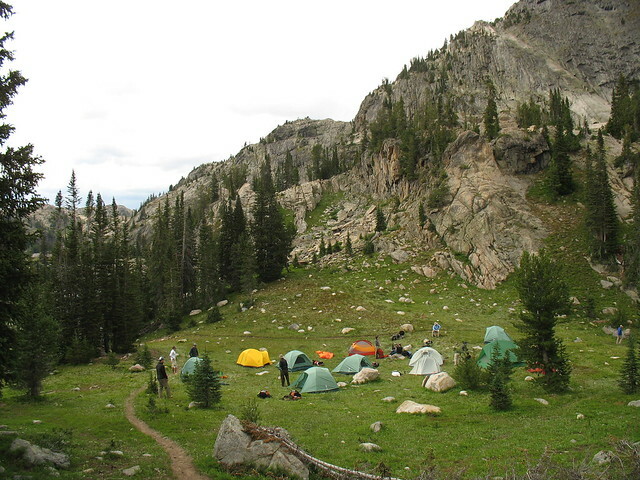 The Absaroka-Beartooth Wilderness does allow camping if you have the right permit. You can also choose how you want to camp; cabins, campgrounds, RVs. Camping options include designated campgrounds with picnic areas, or you can have a more primitive experience and camp outside of these designated areas. Depending on which area you would like to camp, there is most likely a developed campsite nearby. Look into which campsites you might be interested at camping at and see what they each have to offer. Each campground has their own fees, rules and amenities. Some do not take pre-booked reservations so it’s best to snag your spot early in the morning! At over 300 ft. deep and more than 2 miles long, Mystic Lake is the deepest and largest lake in the Beartooth Mountains and it is also a popular spot for rainbow trout fishing. Some good fishing spots are by the small, tiny islands located a few feet away from the shore and also at the inlet of the lake. After your done fishing you can sit back, relax and enjoy the beautiful view of the Tempest, Mystic, and Granite Peak mountains. You can also camp in this area so if you’re keen to waking up early enough you can sit out by the lake and watch the sun rise. Also known as “The Beaten Path”, The East Rosebud trail is a popular route for nature-loving hikers. It is located between Red Lodge and Cooke City and has been said to be one of the best hiking trails the Rocky Mountains has to offer. The hike itself is about 26 miles long so if you don’t feel up to completing it in one day, there are great campsites along the way. While hiking the trail you’ll come across trickling streams and lakes where you can go fishing. You will also see breathtaking views of different mountain peaks. There are also several side trails you can take if you would prefer to have a more peaceful hike in solitude. Also located in Red Lodge, the Rock Creek Vista Point is one of the most popular tourist attractions in Montana. This is a good place to stop at while driving on the road if you are driving the Beartooth Highway route. You can get out of your car and walk around the vista point to enjoy the panoramic views of the Beartooth Mountains and the green forest valleys below. This is a great spot to whip those cameras out! As your journey through Beartooth Highway comes to an end you will be arriving at the ever-famous Yellowstone National Park- the first official national park in the United States. This national park area covers a whopping 2.2 million acres land with widespread lakes, canyons, rivers and mountain ranges. Tourists from all over the world come to Yellowstone as it has become a geographical icon of the United States. If you’re able to spend a day at Yellowstone National Park, be sure to stop by Old Faithful, the famous cone geyser. Located 3 blocks from the historic downtown of Red Lodge, The Yodeler Motel offers an affordable and unique accommodation experience. The Yodeler is a historic Bavarian themed lodge that offers German style amenities. Wi-Fi is included & pets are welcome! If you’re looking for a more intimate stay with family or friends and would like more privacy, the Woolman Log Home can sleep up to 6 people. With its red roof and wood log walls, you’ll feel like you’re camping in the wilderness (well…almost). It is also conveniently located only half of a mile to Yellowstone’s Northeast entrance. Built in 1893, the Pollard was the center of downtown Red Lodge. If you’re looking for something a little more swanky, this Victorian hotel has been completely restored and offers luxurious amenities. The Pollard is located right at the foot of Beartooth Highway. *If you choose to go camping instead, there are several campsites throughout the Absaroka Beartooth Wilderness area. Beartooth highway is no stranger to sudden extreme weather. Because of the high altitude, snow storms can occur even in the Summer months. Driving also must be on the lookout for strong winds and severe thunderstorms. The route is only open to the public from mid-May through mid-October but can be closed temporarily due to poor weather conditions. 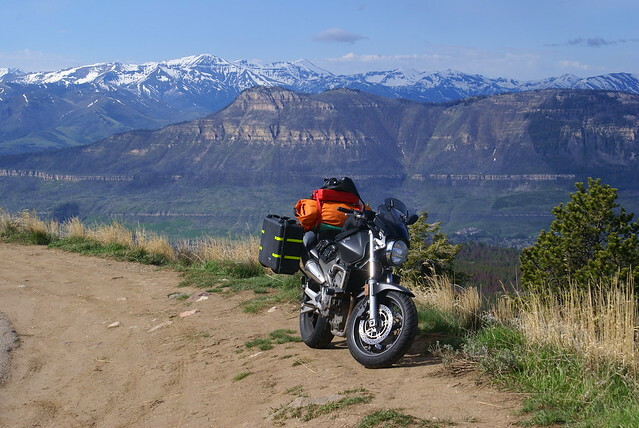 Now that you are pumped for this beautiful road trip on the Beartooth Highway, it’s time to start planning your trip! To make your trip planning easier, visit our “Plan Your Trip” page — which includes do it yourself booking tools for flights, hotels, rental cars, activities and more! If you want some advice from us (or want some personalized help putting together your trip), we can also do that too! To check rates for renting a car, click on the banner below to search our partner rentalcars.com. Compare rates from multiple companies in one easy tool!